The robust redhorse—a large, freshwater fish found in only three river systems in the southeastern United States—is very rare, very endangered, and very much the focus of a $460,000 research grant from the U.S. Fish and Wildlife Service involving North Carolina State University and state and federal agencies. Discovered in North Carolina’s Yadkin River and first described in 1869, the robust redhorse (Moxostoma robustum) remained unknown to scientists until individuals were captured in the Oconee River, Georgia in 1991. Today wild populations exist in the Ocmulgee and Oconee rivers in Georgia, the Savannah River in Georgia and South Carolina, and the Pee Dee River drainage system in North and South Carolina. Researchers believe the redhorse population in the Pee Dee River has been negatively affected by habitat modification and fragmentation from hydroelectric dams, introduction of non-native species, sedimentation, and water pollution. The federal grant, which will be matched with $225,400 in state funds, will be used to determine the specific effects that habitat and water quality changes have on the redhorse as well as other fishes, mussels, and crayfish found in the Pee Dee River, which forms at the confluence of the Yadkin and Uwharrie rivers in and flows from North Carolina into South Carolina. 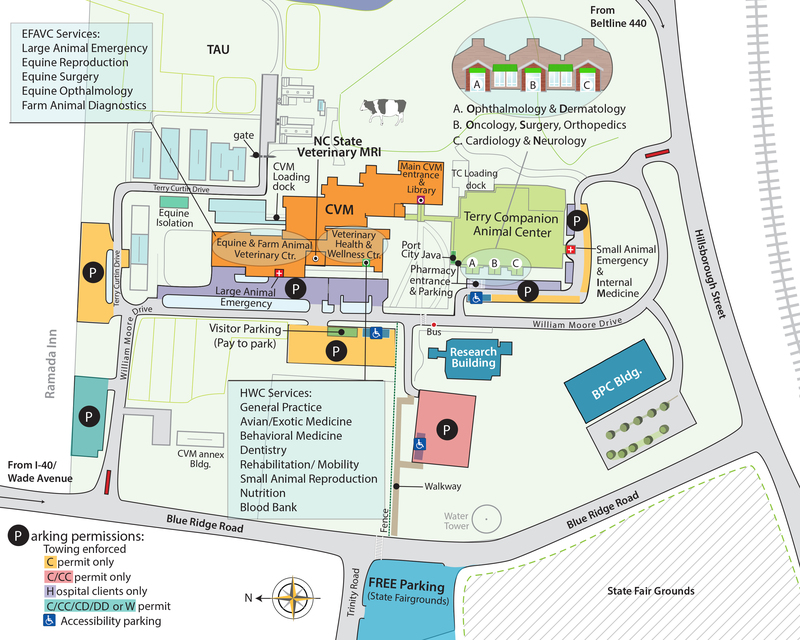 The collaborative research team formed to study the robust redhorse includes Mac Law, a professor of pathology with the Department of Population Health and Pathobiology in NC State University’s College of Veterinary Medicine, whose research specialty involves aquatic animals. Damian Shea, Department of Biological Sciences. 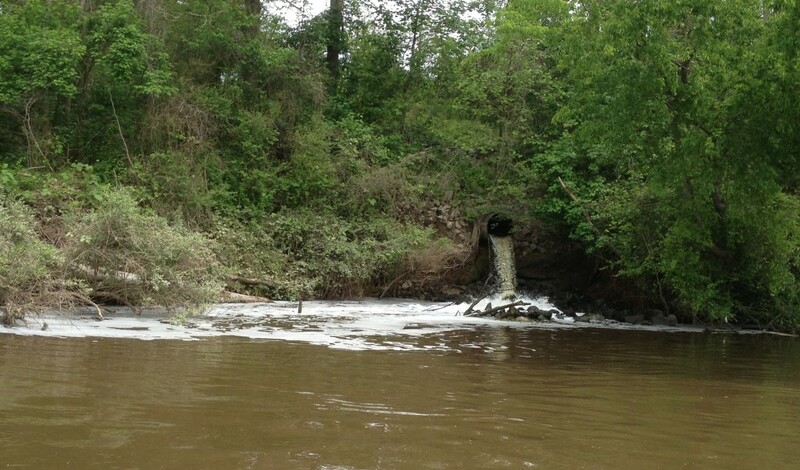 “Recent research suggests that the impact of emerging contaminants, such as endocrine-disrupting compounds and pharmaceuticals, may be detrimental to fishes and other priority species,” says Ryan Heise, a fisheries research coordinator with the NC Wildlife Resources Commission. Discovered by naturalist Edward Cope in 1869, the robust redhorse was generally thought extinct and had been lost to science for more than 100 years. Nicknamed the “mystery fish” by researchers, this rare member of the sucker family has been the focus of ongoing research projects to determine the status of existing populations and initiate recovery efforts across the fish’s three-state range Georgia and the Carolinas. 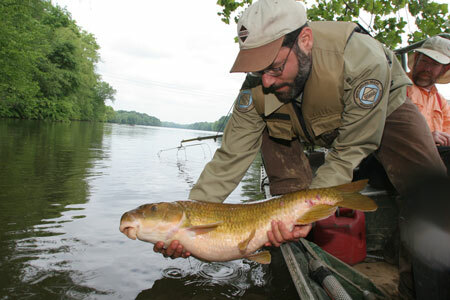 An adult robust redhorse can grow to 30 inches and weigh 17 pounds. The fish has a thick, robust body with rose-colored fins and a fleshy lower lip. Adults feed only on mussels and clams (bi-valves) and may be an important host fish for some freshwater mussels. With a life span of nearly 30 years, the robust redhorse is considered an indicator species for determining the health of aquatic ecosystems. The North Carolina Wildlife Resources Commission was one of agencies in 11 states to receive funding from the U.S. Fish and Wildlife Service through its the State Wildlife Grants (SWG) Program. All SWG-supported projects implement strategies and actions to conserve and recover priority species and habitats identified in the N.C. Wildlife Action Plan.